Over the weekend you could have taken part in a small part of history. Planetside 2 was trying to reclaim the Guinness World Record for ‘Most Players Online in an FPS Battle’. The record was held by Man vs Machine, who had managed to get 999 players into a single game. 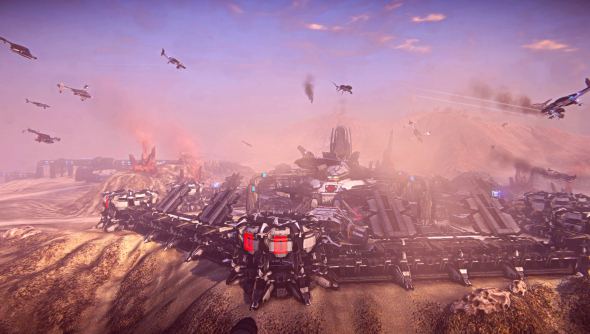 Planetside 2 smashed the record, bringing in 1,158 players. The event was organised by PlanetsideBattles, a group who arrange big team battles in Planetside 2. Two weeks ago they put the call out on Reddit for volunteers who could take part in the largest battle in Planetside history. Man vs Machine was a game built specifically to achieve the record (which, at the time, was held by the original Planetside). They were aiming for 1,000 players but fell short by one due to technical problems. We can only hope that Planetside 2’s success won’t kick off a cold war between games developers, each building games of mass participation.